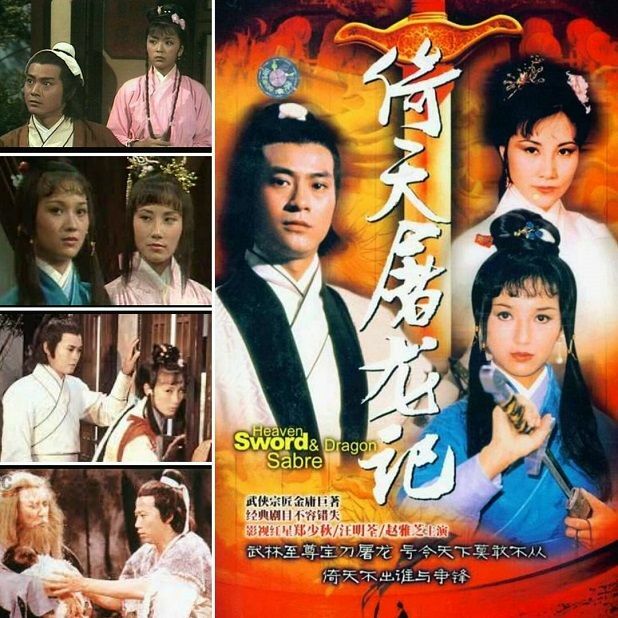 The detailed-synopsis from Wiki for those new to the story: Set in the late Yuan dynasty, the story revolves around a pair of priceless and extremely powerful weapons, the Heaven Reliant Sword (倚天劍) and Dragon Slaying Saber (屠龍刀), which are coveted by many martial artists in the jianghu. Either or both of them are thought to allow their wielder to rule the wulin (martial artists’ community), according to a widely circulated mantra which goes, “Honoured by the wulin, the precious Saber slays the Dragon. It commands the world. Who dares to disobey? If the Heaven Reliant does not appear, who can challenge it?” (武林至尊，寶刀屠龍，號令天下，莫敢不從！倚天不出，誰與爭鋒？) The origins of this mantra are not known at the beginning of the novel. The protagonist, Zhang Wuji, is of mixed heritage. His father, Zhang Cuishan, is an apprentice of Zhang Sanfeng, the highly revered leader of the Wudang Sect; his mother, Yin Susu, is the daughter of Yin Tianzheng, the chief of the “unorthodox” Heavenly Eagle Cult. He spent his childhood on a reclusive northern island, where he was born, with only his parents and his godfather, Xie Xun, to keep him company. When he is about 10 years old, he returns to the Chinese mainland with his parents. They soon find themselves the target of several martial artists, who try to force them to reveal the whereabouts of Xie Xun and the Dragon Slaying Saber. His parents refuse and commit suicide. At the same time, Zhang Wuji is wounded by the Xuanming Elders, but he survives after seeking medical treatment from Hu Qingniu, an eccentric physician. 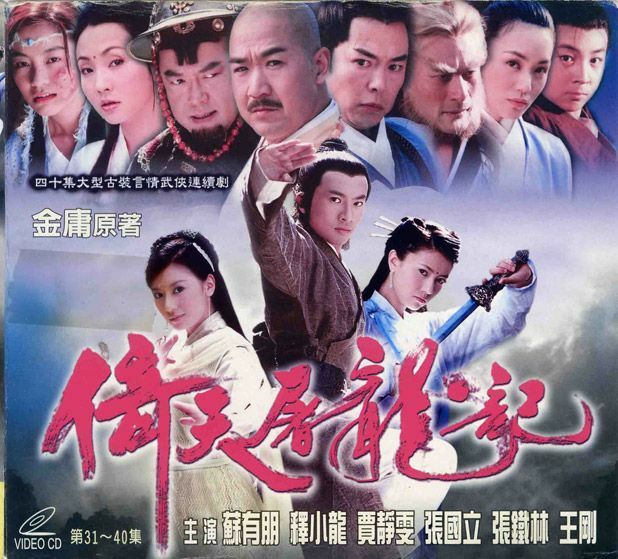 After ending up in an isolated valley by chance, Zhang Wuji discovers the long-lost Nine Yang Manual, masters the inner energy skills described in the book, and becomes a formidable martial artist. Later on, he helps to resolve the conflict between the Ming Cult and the six major orthodox sects, which are bent on destroying the cult. He earns the respect of the cult’s members and becomes its leader after mastering the skill ‘Heaven and Earth Great Shift’. He reforms the cult and helps to improve its relations with other sects. He becomes a key figure in leading the rebel forces to overthrow the Mongol-led Yuan dynasty. 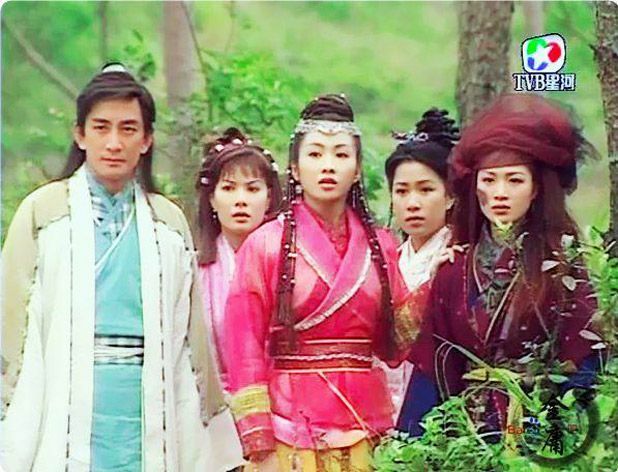 Throughout his adventures, Zhang Wuji finds himself entangled in a complex web of love relationships with four maidens. The first, Yin Li, is a horribly disfigured girl who is actually his maternal cousin. The second, Xiaozhao, is a Chinese-Persian servant girl who understands him very well. The third, Zhou Zhiruo, is a childhood friend whom he develops a strong bond with. The fourth, Zhao Min, is a Mongol princess and his former arch-rival. Yin Li is apparently killed in the middle of the novel while Xiaozhao returns to Persia after it is revealed that she is destined to lead the Persian Ming Cult. 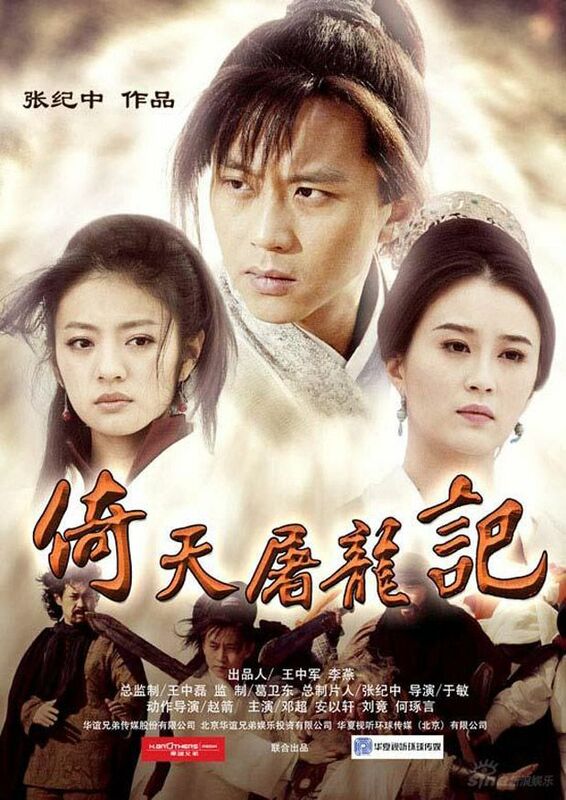 Zhou Zhiruo soon falls in love with Zhang Wuji, but has to turn against him as she is bound by an oath she made in front of her teacher Miejue, who hates and distrusts Zhang Wuji and anyone related to the Ming Cult. Miejue devises a vicious scheme for Zhou Zhiruo to seize the two weapons by exploiting Zhang Wuji’s love for Zhou. Zhou Zhiruo also turns vicious after Zhang Wuji reneges his promise to marry her and swears vengeance on him. Zhao Min was initially Zhang Wuji’s rival as they were on opposing sides. However, Zhao Min gradually falls in love with Zhang Wuji after their various encounters, and she even turns against her clan to help him. At the end of the novel, Zhang Wuji decides to retire from the jianghu after he mistakenly believes that the Ming Cult’s members are plotting to betray him. He decides that Zhao Min is his true love and they leave to lead a reclusive life far away from society. (The second edition of the novel has an ambiguous ending about Zhang Wuji’s relationship with Zhou Zhiruo.) Zhang Wuji gave up an opportunity to become a ruler because the Ming Cult eventually overthrew the Yuan dynasty. Ideally, Zhang would have become the new emperor, but instead, Zhu Yuanzhang takes the throne and establishes the Ming dynasty. – 1978 TVB drama with Adam Cheng, Liza Wang, and Angie Chiu. Nope, I didn’t watch this version. 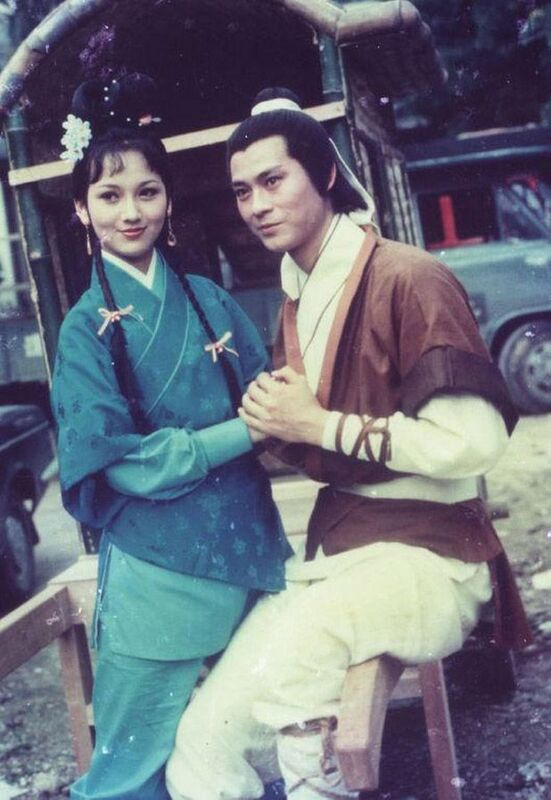 – 1984 TTV (Taiwan) with Liu De Kai and Liu Yupu. 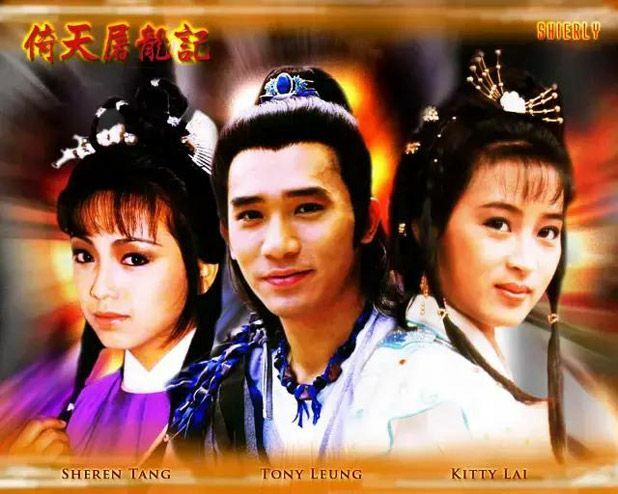 – 1986 TVB drama with Tony Leung, Kitty Lai and Sheren Tang. Watched and loved this one. 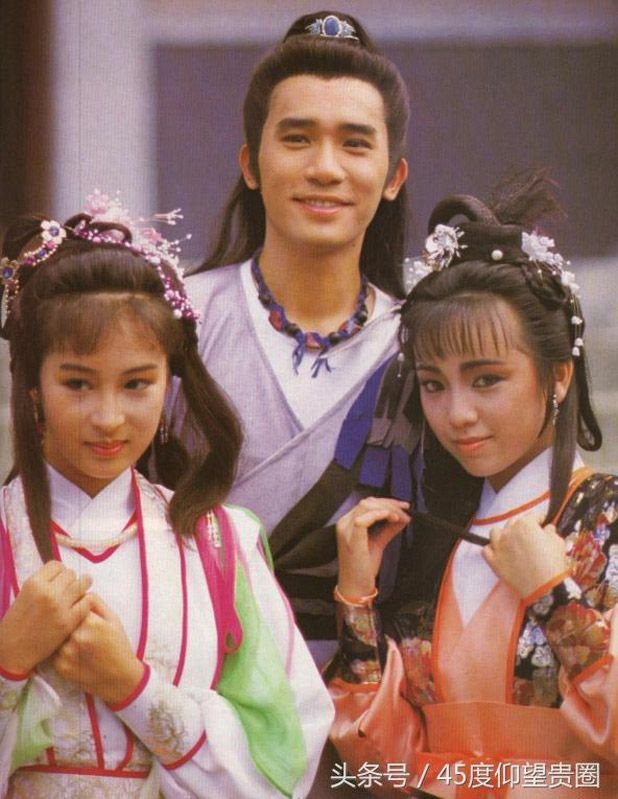 – 1994 TTV (Taiwan) with Steve Ma, Cecilia Yip, and Kathy Chow. I always thought Cecilia Yip was a nun in here and called her that for the longest time. My mom found it very funny. Lol. What the hell was that topknot with three mini cinnamon buns?! 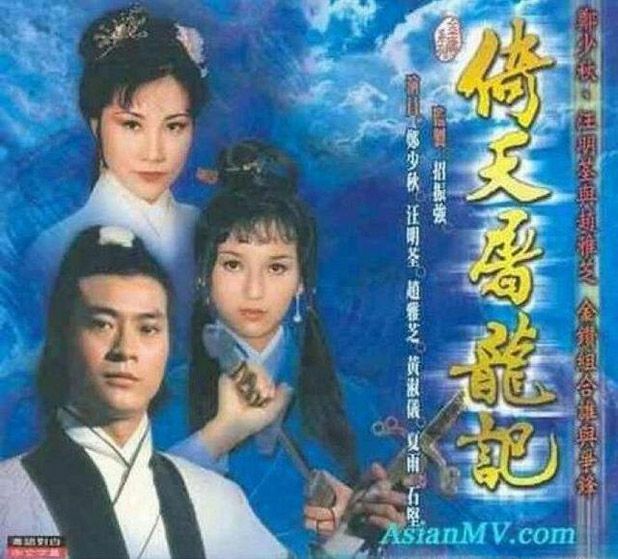 – 2000 TVB drama with Lawrence Ng, Gigi Lai, and Charmaine Sheh. Here was where I fell for Charmaine. It’s weird how I always wanted Zhou Zhi Ruo to throw a finger at her Shifu and get a happy ending. Maybe I’m evil so I rooted for her. XD Loved the music they used in here! – 2009 with Deng Chao and Ady An. I just graduated high school here and was still pretty shallow when it came to passing looks judgements okay. Leave me be! The person behind the remake production is Wong Jing. You either like or dislike Wong Jing, a well-known director, writer, and producer of both films and dramas. 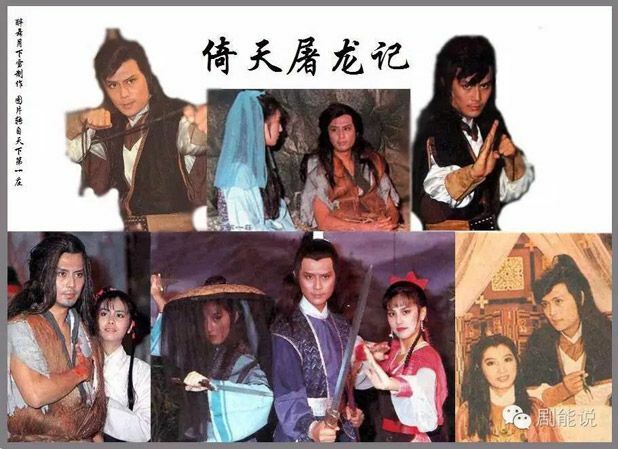 He was in charge of past wuxia adaptations such as The Duke of Mount Deer 2000, The New Adventures of Chor Lau-heung 2001, and Fox Volant of the Snowy Mountain 2006. Anyhoo, I have a hate-love relationship with this story. Love, love, love the girls but really couldn’t understand how they all fell for this one man who was just so wishy-washy! In any case, it’s getting a new adaptation now, which has been in the news for a long time. 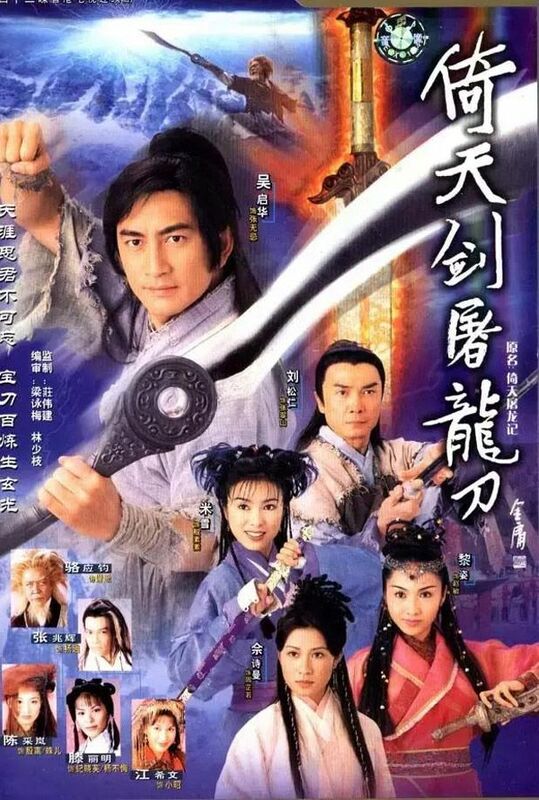 The Heaven Sword and Dragon Saber (倚天屠龙记) is the third installment of Jin Yong’s Condor Trilogy, preceded by The Legend of the Condor Heroes and The Return of the Condor Heroes. I really liked the character backgrounds and setups in this part as compared to the other two parts. The new adaptation hopes to kick off in December. Do you have a dream cast in mind? 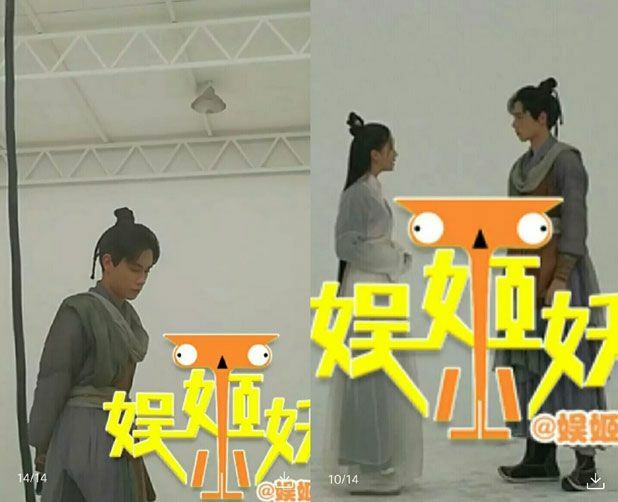 This entry was posted in Entertainment News and tagged Author: Jin Yong, Cdrama, Hu Yi Tian, Joyce Jian Ren Zi, Niu Jun Feng, Novel Adaptations, The Heaven Sword and Dragon Saber 2017 (倚天屠龙记), Wong Jing by Kappy. Bookmark the permalink. I am really going to have to hurry up and watch A Love So Beautiful to see why everyone is going crazy over Hu To Tianjin because he is not doing anything for me in still pictures. Must be someone who looks better in motion onscreen maybe? I literally binged watch the drama. not gonna lie, due to the new cast, and the plot sounds so much like ISWAK, I was really hesitant to give it a try. but i’m so glad i actually did it. 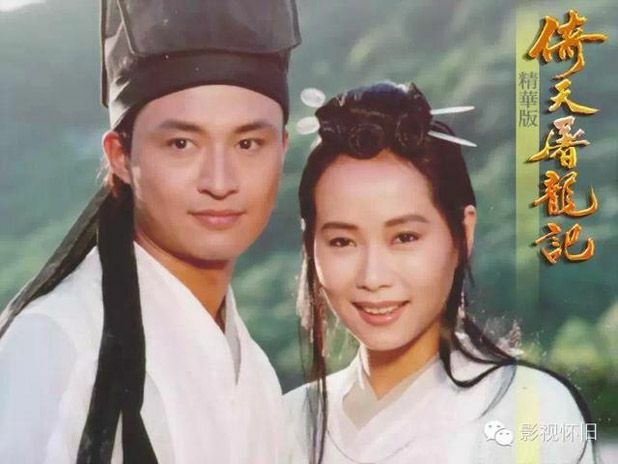 The drama itself is really cliche, nothing too new/crazy (similar plot with ISWAK), but the female character is definitely much more lovable, and has more common sense, and her character was quite realistic. Overall plot of the drama was very realistic, refreshing and just so much cuteness overload. It gives you that same feeling as when you’re watching “You’re the apples of my Eyes” or “Our times” where it really accentuates the youth and highschool memories. He doesn’t do anything for me as well. I’m also averse to the ISWAK type of storyline because the female lead just comes across like a bumbling idiot, which gets on my nerves. I generally don’t like “stupid” female leads, but that’s just a personal thing. For me the reason I like him a lot because he is a very good actor in this drama. He has great chemistry with the female lead & the other three supporting actors. He doesn’t say much with his role, but he is very expressive with his eyes. It’s so fun to watch her also & she is very adorable. I like all five main characters. You won’t regret watching it. Oh gosh this brings back memories. 1986 with Tony Leung was my brother’s favorite version of the show and the one where I watched as much as the 2000 one with Lawrence Ng. But I personally prefer Tony over Lawrence. I do like the ladies in the 2000 more because I’ve watch their dramas the most especially Charmaine and Gigi lol. … Don’t have a dream cast in mind… whoever gets cast I’ll try to watch anyway lol. I felt more empathy for characters in this story compared to the other two. Was on team zhao min all the way too! Love her character! She was so smart and wicked. Part of me feels like she could have destroyed wuji without being physically stronger than him and won, but she fell for him thus went easy on him. 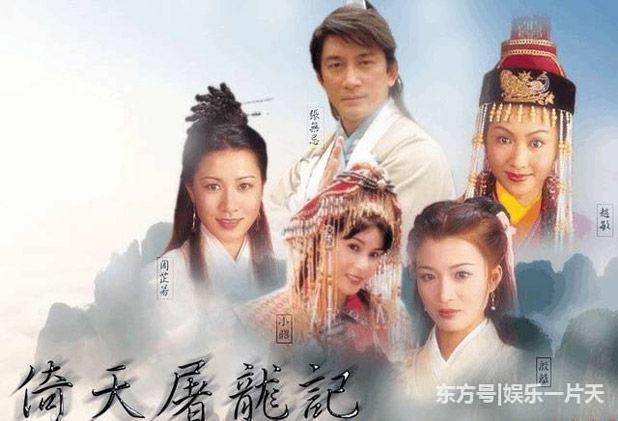 My favorite cast was version 2003 and I fell in love with this adaption at first, but 2009 had a better coverage of the story for me so I would definitely give this version more brownie points; you can totally tell who Wuji really loved and cared for. I’ve not seen the older version besides Steve Ma and was totally not a fan of this version. Jian Renzi is so bland lol, esp in her recent drama with Hu Ge. Or maybe Zhou Zhiruo is supposed to be bland. I think I’ve seen the 1978 and/or 1984 with family cuz I recognize the covers, but honestly don’t really remember…Definitely loved the 2003 and meh liked/maybe not really the 2009 version. Influenced by my sister’s then-love for Alyssa Chia, but team Zhao Min definitely. Although I think back when I first watched it I was shallow and didn’t understand the story/only looked at prettiness so of course was team Gao Yuan Yuan’s Zhou Zhiruo all the way. GYY’s just too gorgeous. But after I grew up I think I was team Zhao Min always. I really liked Yin Li in the 2009…the bud of my love for Zhang Meng. I always felt like technically she should have first dibs cuz she saved him so many times in the beginning and as a kid…and he made all the promises to her. I just didn’t like Zhang Wuji. Altho Alec Su wore the confused look very well. Deng Chao was just not a good ZWJ to me. Not that I liked the character anyways. I think opposite to Kappy, I like the other 2 stories, mostly the first – LoCH story, much more than this one. I’m not a huge fan of HSDS cuz I like Zhao Min’s fire at first but I’m not a fan of her after she falls in love with the dude…he’s not worth it and I feel like the story kind of blended into a meh for me after they got back from the island. I’ve only ever watched Lawrence Ng’s and Deng Chao’s versions. They were not physically attractive but eh I was only really watching it for Zhao Min. Loved it when she crashed Zhou Zhiruo’s wedding. I only watched the Tony Leung version and no other version. The casts left a deep impression with me. I thought Lawrence Ng was a little too old when they cast him. I think you misunderstood Kappy the main lead is very handsom. Not the most handsom since that title belongs to the Left and Right Advisors of Ming Sect but he was a pretty boy, that was one of the reason why so many people didn’t think he was powerful, because he was young, pretty and softly spoken. In the novel they described him as looking a lot like his mother who was a beautiful woman. They also accused ZZC of falling for his pretty looks and called her a traitor. This story is my least favorite in the series due to our leads wishy washy nature. Unlike most i was Team Disfigured Cousin and was so glad when she choose to back out of the relationship in the very end. I’m sure he would have married her had she requested it but she loved the young him and not the older him so she walked away. Waiting to see who will be cast at her. The only redeeming thing of the novel is Zhao Min’s character. As you grow older you’ll grow to dislike the male lead as well. Also, in Jin Yong’s revised version, he left the ending open so ZWJ can marry anyone he likes, which is freaking annoying tbh. He’s already fickle enough, why are they turning him into a bigger douchebag? Wait, so it goes like this…? I thought it is the casting directors that approach the actors on whether to take up the role. So it turns out that it is the actor who have to go for the audition to take on a role? Only for certain dramas do they get auditions. Most are the newbies/rookie actors who have to audition. Famed actors/actresses get approached directly. Oh, I see… thanks for the info! Having watched all the version…Really all the versions. My two favourites were Tony Leung and Deng Chao. Those who love beautiful scenery, Deng Chao version has it, Breathtaking views. . 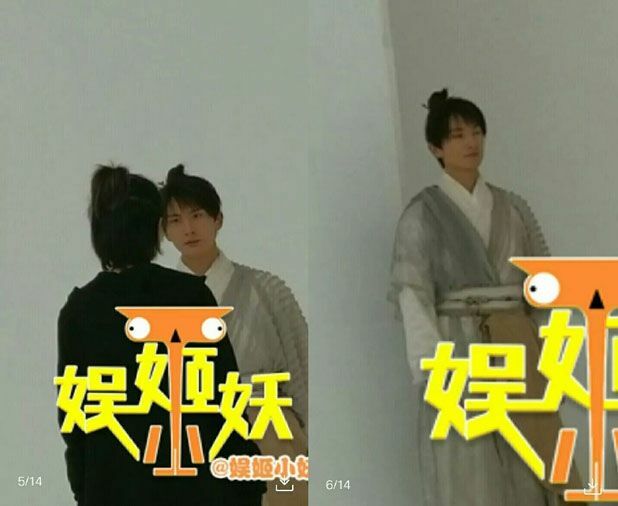 It was filmed in Wudang Mountain itself. 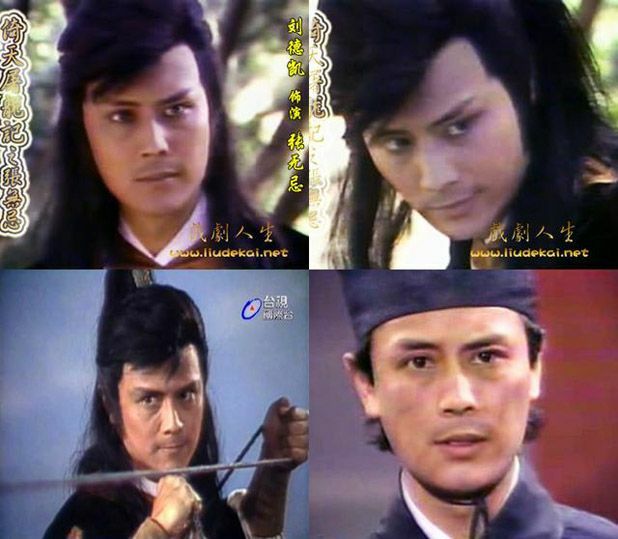 His Shifu was acted by one of the best Wuxia master. I saw a very powerful version of Qin Gong. So beautifully executed. I don’t think getting cast in this will do anything for these gentleman’s careers. 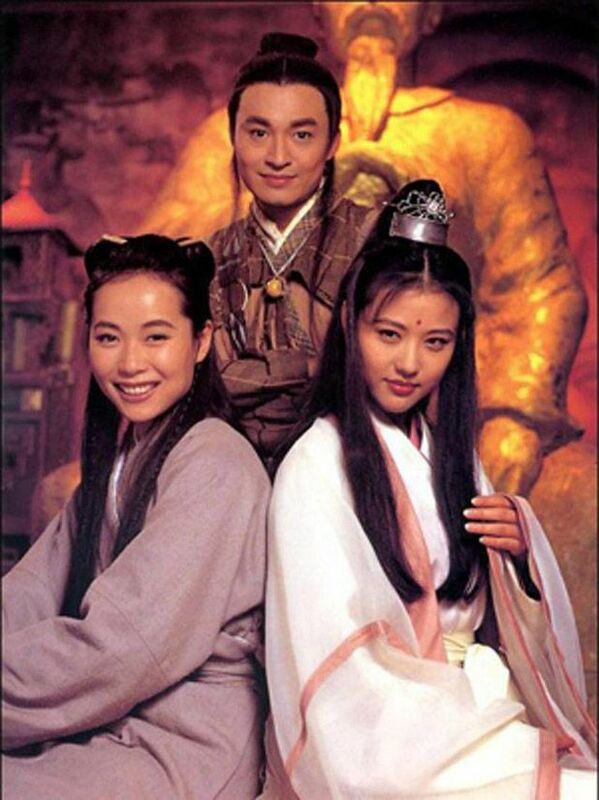 Jin Yong dramas aren’t watched like they used to be due to 1) too many remakes 2) lots of other great stories. Why waste time watching the same plot that you’ve watched many times when there are so many great dramas now. Bwhahaha Kappy at Cecilia yip being a nun, she does look like a nun! The huge Mickey Mouse buns were even funnier, she got quite good acting skills to help me ignore all the silly stylings. Her Zhao Min was a bit cry baby though but somehow I like her. I hate how Steven Ma wore dirty torn clothes and pants that were not long enough that makes him… hobo? Can’t find the right word. The only thing I like the most, I want to scream: YANG XIAO !!!!!!!! First and only time ever I would like a narcissist creep with Stockholm syndrome, they directed his scene nicely and he was excellent in acting. Rewatched his scene fall in love with him all over again. 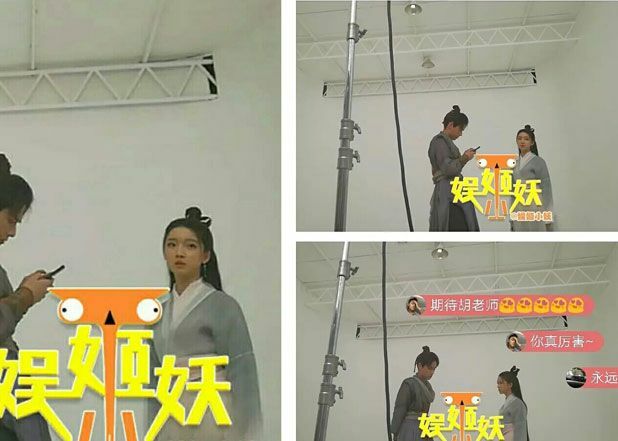 Nah…the new actors/actresses look young like idol stars, the characters are supposed to be young I guess but idol stars are hard for me to break through for wuxia theme. They might do well,but it’s not likely better than the previous ones. Like LOCH 2017, I did not like it. My favorite versions were the ones featuring Tony Leung and Alec Su. Thought the casting for these two versions were spot on. I had a huge OTP crush on Tony Leung and Kitty Lai at the time and was so happy they got together in real life. I especially loved the scene when she fell into the well/trap and Tony tickled her foot. Sheren Tang also represented ZZY well and Maggie Siu was well-casted as the Persian leader, always thought she looked mix to me. I also like that they stuck close to the novel. I loved all three beautiful leads in Alec Su’s version. So much prettiness here. 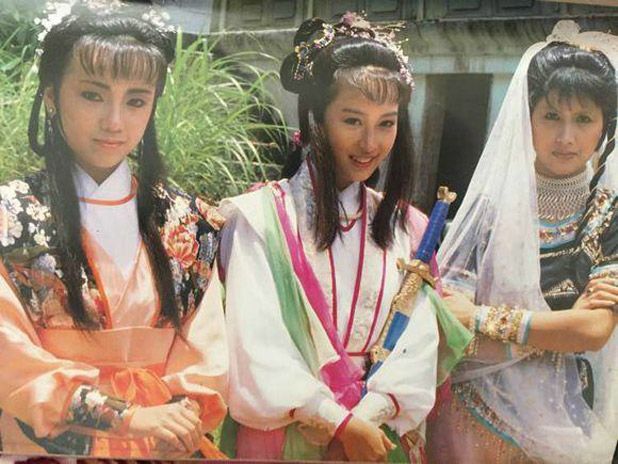 Alyssa Chia was spunky as ZM, and Gao Yuan Yuan was classy as ZZY. If I was Alec, I’d have a difficult time choosing between the two as well, lol. HSDS is one of my favorite ZY novels since it has a happy ending – i.e. No one loses a limb or has to wait 16 years for his lover or is betrayed by his si-fu. I’m going to be honest and hope that HYT doesn’t get it because I hate remakes. Why make another remake when so many new dramas are sitting on the shelves. As a matter of fact, I hope better offers come along and these 2 actors decline altogether. Scrap this project for all I care. 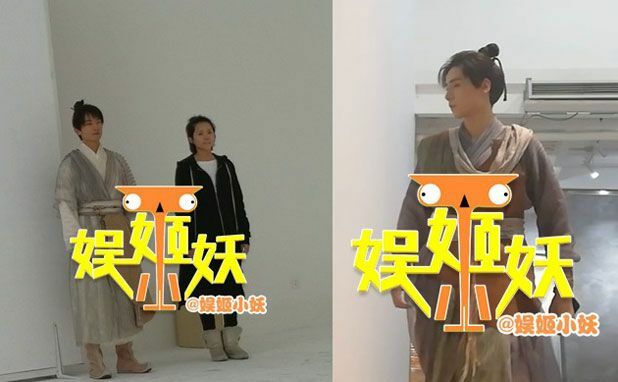 This is my least fave out of the trilogy.. cannot stand Zhang wu ji and his wushu washy-ness.. haha Hu Yi Tian is the trend now though, think he has a high chance.. but why would being in the remake mean that it will be a break for him? I think people are getting tired of remakes..